Indie brand Bruno Fazzolari has launched Room 237, a new fragrance inspired by the movie The Shining. The notes feature angelica, flea bane, estragon, costus, oppoponax and olibanum. 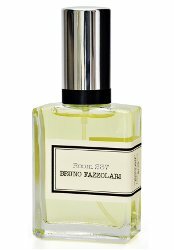 Bruno Fazzolari Room 237 can be found now at Luckyscent, $96 for 30 ml Eau de Toilette. What is “flea bane” and “estragon”….something about the sound of this perfume disturbs me. Wonder how it will sell? If it doesn’t smell like an elevator full of blood, I’m not interested. Believe it or not, I have never seen the movie. Not going to start now.